Up to £5 Off Family Calendars and Planners at Calendar Club Shop a fantastic range of calendars and planners that are perfect for keeping even the busiest of families organised! Free Delivery on Orders Over £10 at Calendar Club Enjoy free UK standard delivery on all orders over £10 at Calendar Club. Find £4 Off Kitten Calendars in the Sale at Calendar Club With a furry friend for every month, this is a great deal. Discover the Tiny Headed Kingdom Range from £9.99 at Calendar Club Shop this brilliant range of collectable soft toys at Calendar Club! Get £4.50 Off Animal Calendars in the Sale at Calendar Club Get different critter for every month! Discover £5.99 Off Humorous Calendars in the Sale at Calendar Club Get a laugh a month with funny calendars at Calendar Club! Candles from £1.99 at Calendar Club With more scent than you can think of at brilliant discounted prices, these candles are an absolute steal! Books from £2.99 at Calendar Club Check out the great range of books available at Calendar Club. Save £4.99 on Hidden Gems at Calendar Club Find quirky gifts that suit all occasions! Find £4.99 Off Entertainment Calendars in the Sale at Calendar Club Get great calendars for great prices. Choosing the right gifts for friends and family can often be a difficult process but with the range of practical and fun gifts at Calendar Club UK and the money-saving deals here at vouchercloud, everyone can be pleased and all at an affordable price. On the Calendar Club UK website, it’s easy to find the right gift for friends, family and colleagues. Browse the latest calendars for the upcoming year or shop by theme to find a fitting gift for anyone. You can pick up next year’s calendar from any of the Calendar Club stores and shopping centre stands too, and with a Calendar Club discount code your basket full of presents will be cheaper. Whether you’re shopping for a friend, a family member or for yourself, online or in store, the choice is near endless at Calendar Club UK. So grab a deal and apply it at the online checkout, or use the vouchercloud smartphone app to show the staff at your local Calendar Club branch the latest offer to reduce the price of your chosen gifts. How do I use my Calendar Club voucher code? Life can be messy and stressful, so why don’t you buy a diary planner when purchasing your calendar to help you stay organised and on track. By spending over £10, you’ll earn free delivery on your items. Where is my Calendar Club order? When your order is shipped by Calendar Club, you should have received an email confirming that order has indeed been sent. Visit the Delivery Information page online to establish when your order is likely to arrive given the estimate guide times. If you haven’t received the email, we recommended you contact Calendar Club. How long do have to return my Calendar Club order? If you’ve changed your mind, you have 28 days to return your order in its original sale condition, free of charge. Does Calendar Club have stores near me? As Calendars and planner tend to last a year (surprise!) 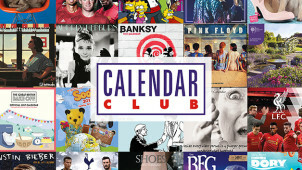 the Calendar Club’s stores often pop-up in towns and cities all across the UK and Ireland in vacant retail spaces. During September and January there are approximately 300 temporary stores, so you’ll be able to shop in-store in the lead up to the festive period and new year. Otherwise, their calendars are available all year round online. With thousands of calendars, diaries, stationery and puzzles, Calendar Club UK is Europe’s largest calendar store. Brighten up the everyday with puppies, cars, cartoons and positive mantras printed on organisers of all shapes and sizes, and don’t forget to use a Calendar Club voucher code to save money on your order. Their extensive range has something for every taste and covers a huge range of categories including Entertainment, Sports, Celebrities, Animals, Travel and much, much more! Calendar Club stocks the very best in trendy artwork, artists and illustration, so you can ensure even your calendar or diary says something about your trendsetting style. From Banksy’s wall art to Edward Monkton’s humorous illustrations there are numerous characters and famous artworks available to be hung on your wall! For adorable and enduring gifts which last all year, you can’t go wrong with a cute animal calendar for animal fanatics. Keep your gift cheap and cheerful with a Calendar Club discount code, and find a furry animal to make them smile. Whether they’re crazy about cats, dotty about dogs or wild about wolves - there will be a calendar with stunning photographs and images to enjoy at every turn of the page.